Great Basin National Park is tucked in a remote corner of eastern Nevada, just off historic highway 50. It is the 9th least visited National Park in the USA so the staff were happy to see us! This obviously leads to curiosity about who else is in the top 10 least visited parks – check out the list here… http://www.thedailygreen.com/environmental-news/latest/national-parks-124040809#slide-9. 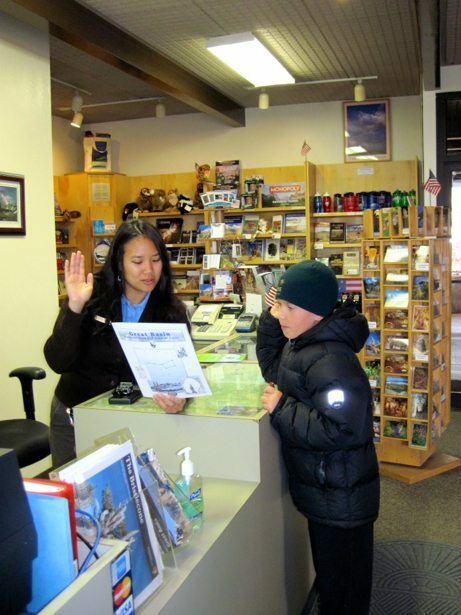 Not a surprise to see 3 Alaska parks in the top 5. 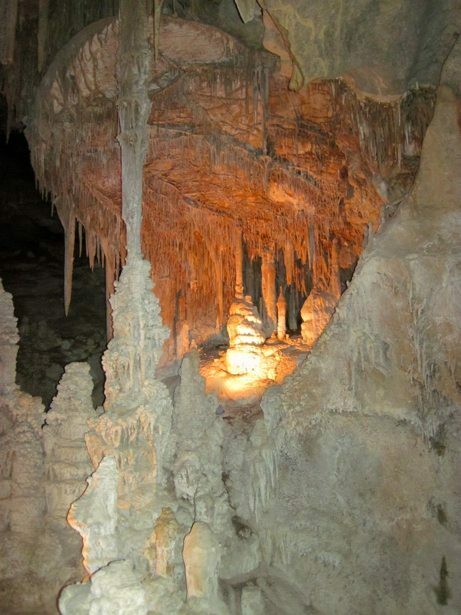 Anyways… one of the main features in the park is Lehman Caves so we thought it would be a great stop on our way to Reno. We pulled in just before dark and were able to pick up a Junior Ranger book to work on and find a camp site. There was about an inch of snow on the ground and the campsite was at 7300 feet elevation so things were definitely cool that night! 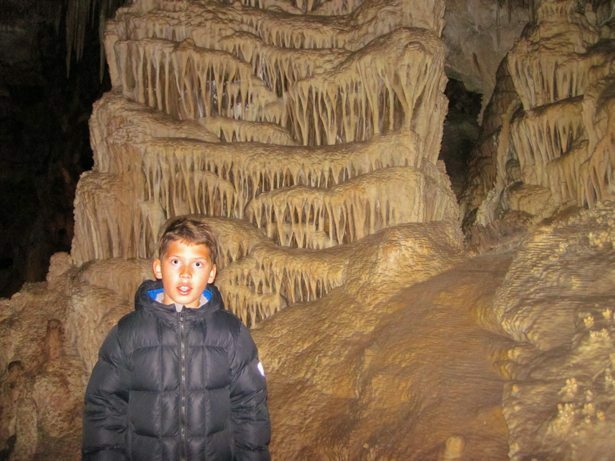 The next morning we were up bright and early to make it to the Ranger Station for the 9am cave tour. 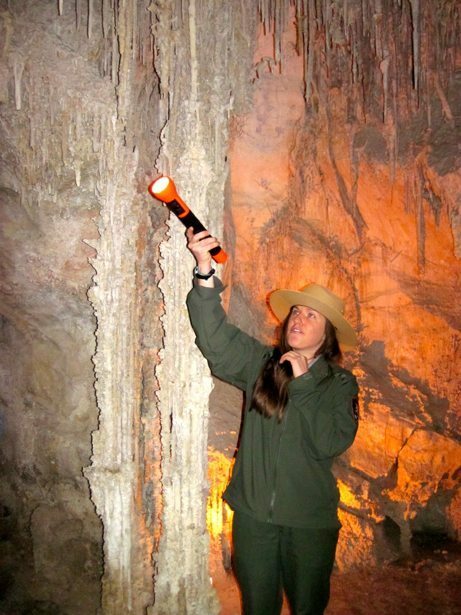 Ranger Katie toured us through the caves for 90 minutes and it was so interesting and captivating. To make it accessible, the park has put in a paved entrance and exit, paved floor path and LED lighting throughout. They have done a good job with the lights and paths and they aren’t all that intrusive into the experience. It was much better than we had anticipated. 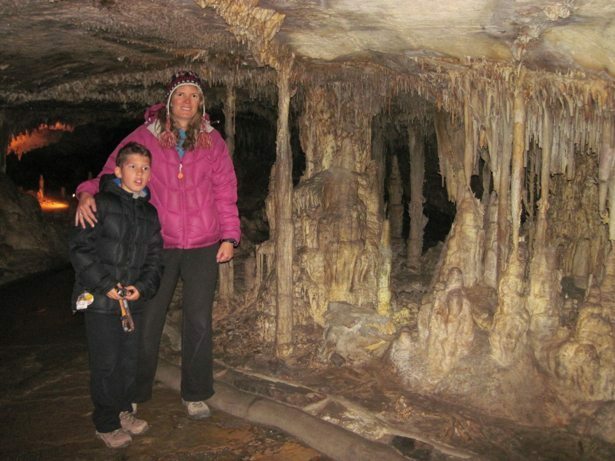 Lehman caves was discovered in the late 1800’s and the first explorers paid $1.00 and were given a coffee can with a candle inside and the guarantee that someone would come in after them if they did not return within 24 hours of going into the cave. At one point Ranger Katie had Hunter hold a coffee can lantern and then turned all of the lights around us off. 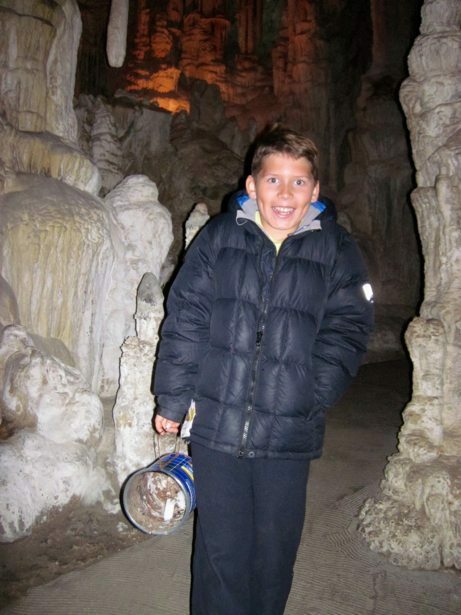 She then had Hunter blow out his candle and we were all left in the dark imagining what it would have been like to be exploring, trip and fall and have your candle snuffed out. Total darkness with no sense of which direction to turn. 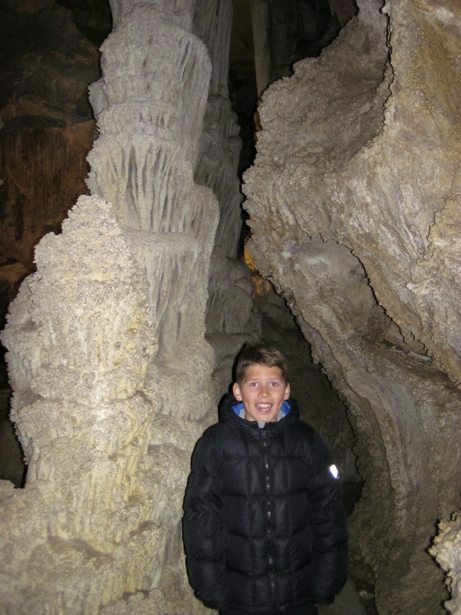 Doing the Junior Ranger book the night before was great as we all learned about Cave features such as stalactites (hang down), stalagmites (come up from the ground), cave popcorn, cave drapery, cave parachutes and the best of all – cave BACON (named for it’s wavy shape & brown colour)! What a great experience. 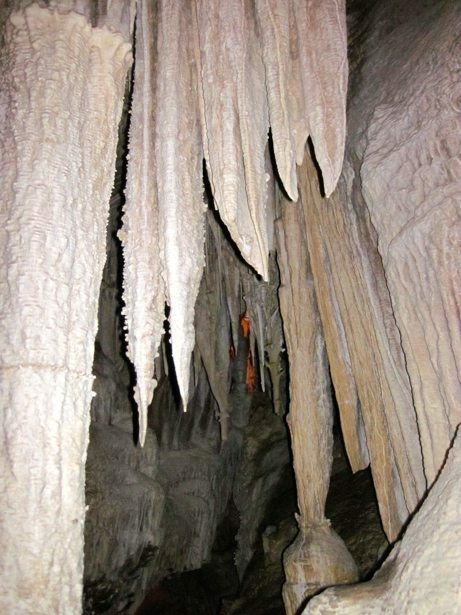 Liz and I were in the caves in Belize. They looked very similar except we were in a canoe and travelled about 1 mile.